Available in green or brown patina. Made to order from copper or brass. 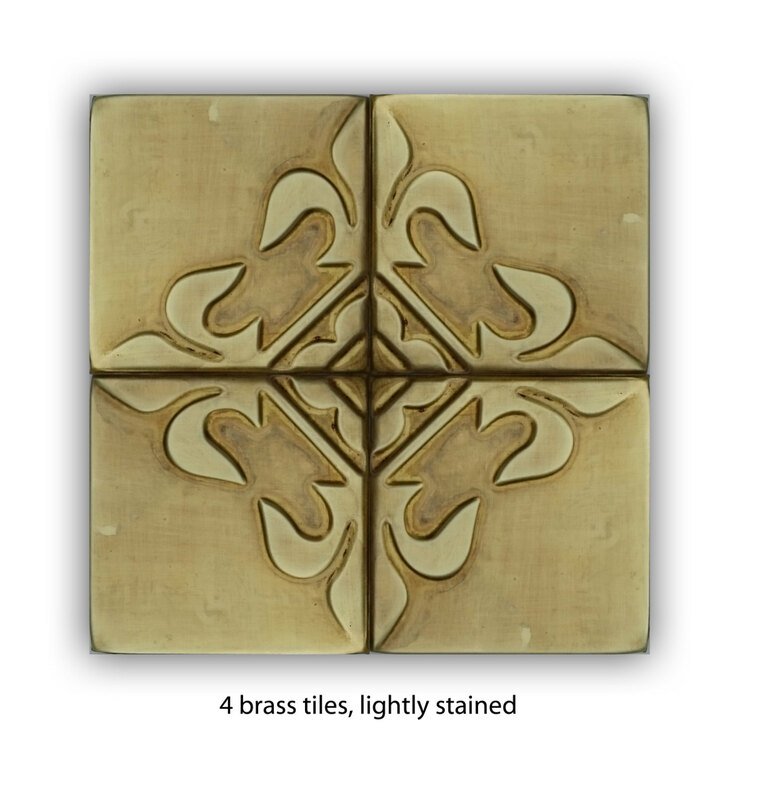 I offer these tiles in 3 sizes. For example if you buy 1 set of 4 tiles 20cm x 20 cm (8inch x 8 inch) that will make a wall installation 40cmx40cm ( 16inch x 16inch) in total.